Massage, aromatherapy, reflexology and a variety of relaxation techniques are frequently used in hospices, supportive care settings and some hospitals. However, there are still gaps and limitations in the choices offered to patients. HEARTS (Hands-on, Empathy, Aromas, Relaxation, Textures, Sound) was devised to bridge this gap for complementary therapists, patients, carers and health care professionals. HEARTS can be used either on its own, or integrated with a conventional complementary therapy. It can also be used easily by health care workers (and carers) who are not qualified in any therapies. By discussing principles which may influence the effectiveness of touch and relaxation therapies, the book emphasises that there are 'easy' approaches that can be utilised when working with distressed and vulnerable patients. 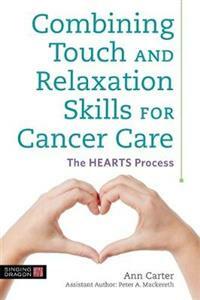 By developing an understanding of touch, aromas and the sound of the human voice, Combining Touch and Relaxation Skills for Cancer Care guides practitioners in helping their patients achieve a state of relaxation and calm as quickly and easily as possible.